VISIT KAMCHATKA: Alaska’s Gateway to Asia! Fly west from Anchorage across the Bering Straits! The 4.5-hour flight leaves once each week from Anchorage to Petropavlovsk-Kamchatsky, starting next month on July 16. The flight is coordinated by AirRussia in Seattle . The flight is operated by Yakutia Airlines aboard a Boeing 737-800. Kamchatka is well-known for world-class fishing. But it’s also known for the “Valley of the Geysers,” a UNESCO World Heritage Site. VALLEY OF THE GEYSERS, Uzon Volcano and Hot Springs. Fly in a helicopter to the Valley of the Geysers. You’ll fly past active volcanoes to the starting point for your walking tour: mud pots, geysers, steam-jets….this is an active spot! Then, fly into the Uzon Volcano for a one-hour tour. Finally, hop in the chopper for a trip to the hot springs—where lunch is waiting! ASCENDING MUTNOVSKIY AND GORELIY VOLCANOES. This is your chance to climb two volcanoes in two days. Camp overnight between your ascents. Check the website to learn more about the moon-like landscape and the unique features of the climb. Red Rivers also offers trips to see the bears at Kuril Lake, at the southern tip of the Kamchatka Peninsula. By the way, there’s just one American resident on the Kamchatka Peninsula. She happens to be from Homer, Alaska—and runs a very nice bed-and breakfast. 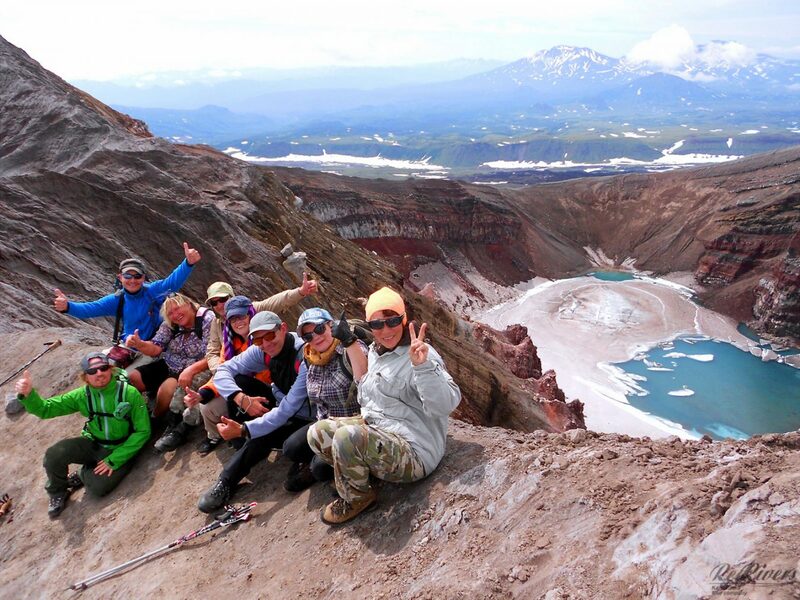 Martha Madsen is a great resource for Alaskans traveling to Kamchatka. You’ll need a visa to travel to Russia. The folks at AirRussia have a whole section on their site devoted to this.